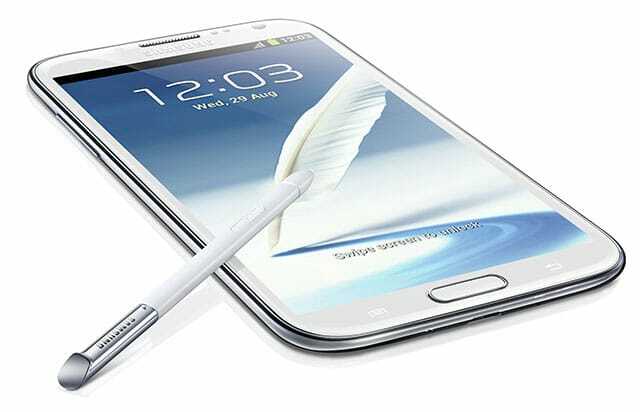 This year Samsung will release its third Galaxy Note phablet. SamMobile, a site dedicated to Samsung news, today received some information from insiders regarding to Samsung’s Galaxy Note III. The Galaxy Note 3 will be released in two models, M-N900 for international users and SM-N9005 for the US. According to the site sources, the Galaxy Note III be shipped with a 5.68 inch HD screen, 13 megapixel camera with Optical Image Stabilisation, Android 4.3 Jelly Bean, and will be powered by a 3,200 mAh battery. There’s seems to be some differences with the US and international model. The international version, M-N900, will have a 1.8GHz Octa-core Exynos 5420 processor, ARM Mali-T628 MP6 while it still unknown what CPU and GPU the US model will shipped with. The site confirms that the US model will be shipped with 3GB of RAM and the international model will not have LTE connectivity. The Note III will be available in 16GB, 32GB, and 64GB of internal memory and can take an expandable memory microSD card of up to 64GB.